What Is Community League Membership? At its simplest, a Community League is a group of your neighbours who volunteer to organize events, activities and programs in your community, such as youth sport. The first Community League formed 100 years ago and today, there are 157 Community Leagues all across the City. Everyone in Edmonton lives within the boundary of a Community League. When you purchase a Community League membership, you help your Community League bring residents together, improve the community amenities, and enhance the quality of life for you and your neighbours. Community Leagues do this through organizing recreational, education and sport programming, hosting community parties and events, developing amenities such as spray parks, playgrounds, sports courts, community gardens and community league halls, and by being the voice of the community when it comes to civic matters that impact your neighbourhood. Your league may offer other benefits, programs, or discounts with local businesses or services. Please take the time to learn more about your community league and get involved. The best way to create the type of community you want to live in is to get active and get engaged with your neighbours and with your League. Check your League’s web site to see what else may be of interest to you. Forms and payment may be dropped off in person during current ECL office hours, or dropped in the mail slot located next to the main entrance doors. Memberships can also be purchased online through the Edmonton Federation of Community Leagues (EFCL) website. There has been an increase to administration fee ($5.00). NOTE: As per the City of Edmonton, any individual or family may only purchase and hold ONE community league membership each year, and it MUST be from the community they reside in. Some communities may honor outside memberships or charge a reduced non-voting membership for their programs and discounts. Please check with individual communities for details. Family with two parents and children under the age of 18 living in the same household. Family with one parent and children under the age of 18 living in the same household. For one individual 18 years old and over. For seniors over the age of 65. Proof of age with valid ID may be required at time of purchase. South of 34 Avenue, north of 23 Avenue, from Calgary Trail to 111 Street. Not sure which community league you should join? 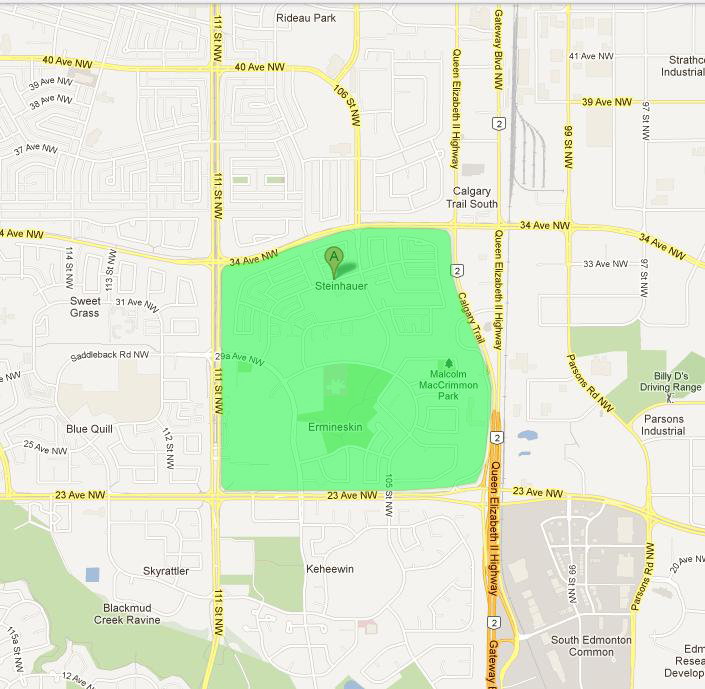 Click this Edmonton community league boundary map to find out.